Shadow of the Colossus is damn beautiful. Bluepoint Games has created a remaster full of gorgeous colours and incredible graphics that lifts the game to new heights, preserving the essence of the classic title that gamers first fell in love with all the way back in 2005 while making additions that have ensured that the game fits perfectly well within the current generation of video games. As with the original, players are cast into the role of a young man named Wander as he goes on an epic journey through the Forbidden Land in order to resurrect a girl named Mono. Although it is never made clear why Wander is trying to resurrect Mono — who was sacrificed because she was believed to be cursed — he finds himself doing the bidding of a disembodied entity known only as Dormin, who requests that Wander find and destroy 16 enormous ancient Colossi before it will attempt to revive his maiden. This mission forces Wander to… well, wander around the vast Forbidden Land, traversing cliffs, mountains and valleys to find and battle the Colossi and whatever else stands in his way. The game’s level design centres around the Colossi themselves; the large, structural beings roam the land, each sentient monolith with at least one glaring weakness that players will need to discover and then exploit in order to destroy it. Engaging a Colossus in battle often involves a lot of climbing, turning every encounter into a challenge and an adventure all of its own. The creatures are as absolutely stunning as they are intimidating, which simply adds to the sense of accomplishment to be felt after defeating them; a sense of accomplishment that is sure to be married with a sense of wonder at how this little human being can destroy these massive, majestic beings. Bluepoint has done a phenomenal job of improving the game’s controls from the original, making the often-arduous task of climbing a whole hell of a lot easier. It’s still a challenge, especially when Wander loses his grip or falls; this can cause the game to become a little repetitive during difficult sections, but practice does make perfect, and players are sure to find themselves progressing through the game at a decent rate. 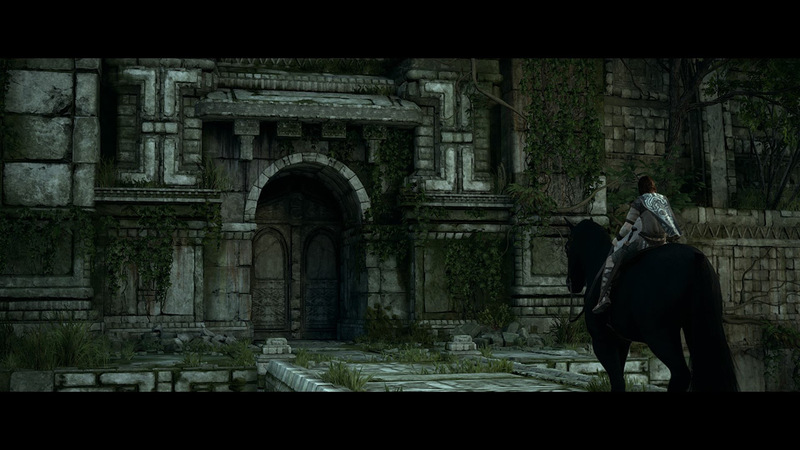 From a visual standpoint, Shadow of the Colossus is absolutely gorgeous. Although it doesn’t look ahead of its time as the original did, Bluepoint has brought the game in line with the current generation’s titles — without betraying the essence of the original — and created something truly breathtaking. The Colossi are incredible marvels of imagination, the landscapes are absolutely beautiful, and it’s all complemented by a beautiful, captivating score that captures and enhances the game’s mood and setting perfectly. Unfortunately, this truly glorious remake is not without its flaws. While its visuals and controls have been vastly improved from the original title, the vehicle through which players are to enjoy it — the camera — is incredibly annoying. It is prone to randomly pointing to the sky while you’re traversing the map on horseback, and it can simply be all over the place when you’re climbing a Colossus, adding difficulty to an already challenging task in a way that is simply not welcome. These glitches may render players annoyed and/or dizzy, but they do not render the game unplayable; new and old fans alike are sure to find myriad ways to enjoy the game. Shadow of the Colossus is a resounding success as a remake, capturing the beautiful scenery, fascinating level design and intriguing story that captivated gamers 13 years ago and improving on the game in (almost) every conceivable way. It’s truly a must-play for fans of the original title, and comes highly recommended to new players as well. Shadow of the Colossus is a beautifully-executed remake that preserves the essence of the 2005 action-adventure title while still managing to improve it across the board. It comes highly recommended to new and old fans alike. Emily is an enthusiastic gamer who focuses her attention on adventures, first-person shooters, and the rush of adrenaline that comes from a good horror game.